Our new range of MB Swindon branded shirts are (finally) here. We’ve given them a bit of a refresh for 2015 to reflect the clubs 5th anniversary. 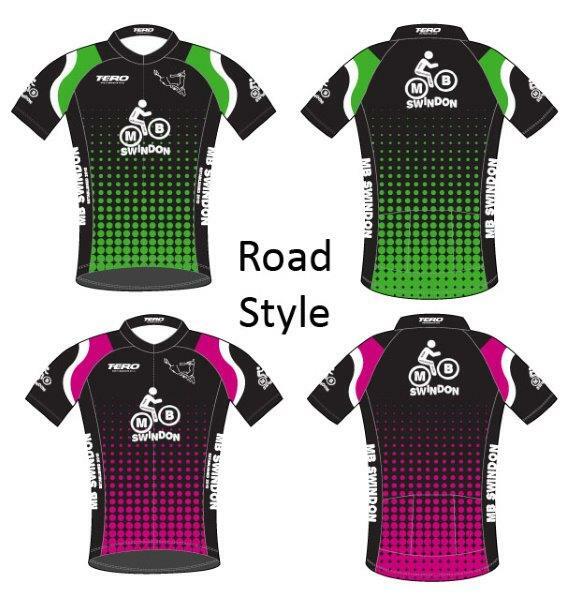 The jerseys are available in a range of sizes, in 2 styles and 2 colours. Choose between road style (tight fitting with 3 pockets on the rear and a full-length front zip) or MTB style (looser fitting without the pockets and a 1/3 front zip). Please note that long sleeve jerseys are no longer available, but we are looking into a light-weight winter jacket option. PLEASE NOTE: Due to a supplier change the sizes are very different to the old shirts so PLEASE take a look at the size charts below before ordering. Please be aware that non-stocked shirts are custom ordered, and have to be ordered from the supplier in a minimum quantity. If we do not have the shirt you require in stock then we will order it for you. Shirts can take up to 6 weeks to arrive from the date we order them from the supplier. The order will only be placed when a sufficient quantity has been reached, which may cause extra delay to your order.